To export the Grid as a CSV file, create excel file as IWorkBook with the required properties using GridExcelExport class and export overload. Later, the created book has been downloaded as CSV document. 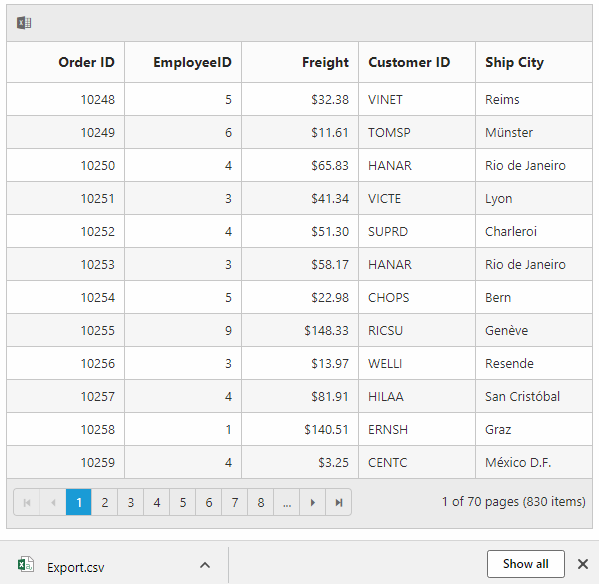 Figure: Grid with Exported CSV file.